Native American hip-hop artist and hoop dancer. Christian Takes Gun Parrish, known professionally as Supaman founded the Native American hip-hop group Rezawrecktion, whose first album (It's Time) won a Native American Music Award in 2005. Since then, he has released four solo albums and received coverage and plaudits for the song Why? 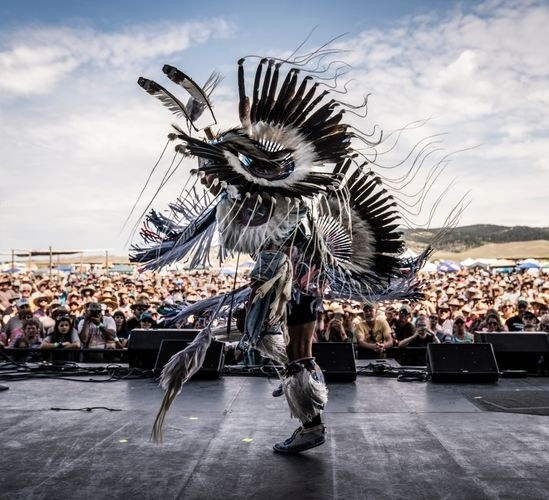 In his hit track, Prayer Loop Song, Supaman utilizes various instruments including the drum and the ute all while beatboxing, rapping, and remixing different Native tracks.